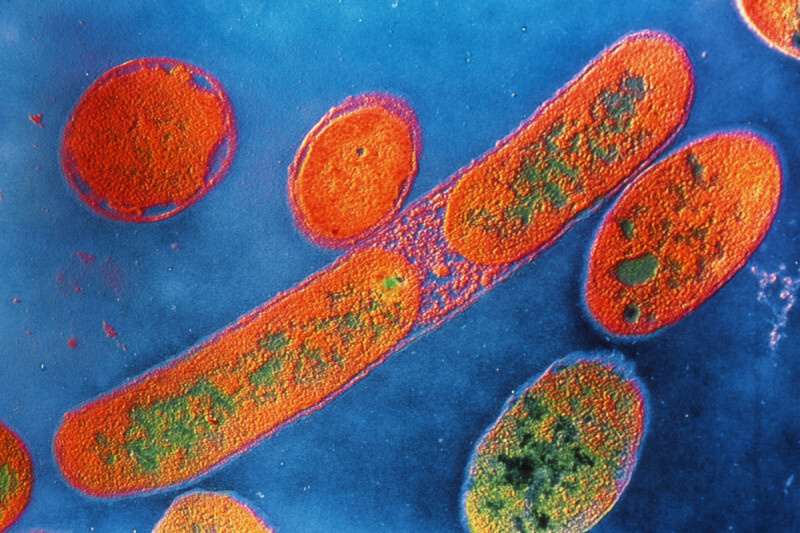 Bacteria such as Pseudomonas aeruginosa appear to trigger an immune response after interfering with mitochondrial function inside cells. Bacterial infections can cause major problems for people undergoing treatment for cancer and other diseases. The concern is especially acute during hospitalization, when patients often have weakened immune function. To complicate matters, antibiotics given to relieve or prevent infections may have a negative effect on the health-promoting bacteria that live in the body, mainly in the gut. If the microbiota — a word that refers collectively to all of the microorganisms that inhabit the body — get out of balance, it can allow harmful bacteria to dominate and give rise to antibiotic-resistant strains. In light of this, there’s a growing interest in clarifying how the body fights pathogenic bacteria without wiping out the benign forms. The idea is that this understanding could lead to ways to enhance this natural defense. Now Memorial Sloan Kettering researchers have identified an unusual process by which the body can sense the presence of pathogenic bacteria and destroy them. Rather than detect the microbes directly, individual cells monitor how the bacteria interfere with the functioning of energy-producing cellular structures called mitochondria. Dr. Haynes explains that this mechanism may have evolved to enable cells to detect bad bacteria amid the many forms of good bacteria. The body’s primary method for killing pathogenic microbes involves attacking them directly with white blood cells, but this may not occur quickly enough or be adequately selective. Dr. Haynes says he and his colleagues took an unexpected route to this discovery. His laboratory at the Sloan Kettering Institute primarily studies the stress responses that cells naturally mount to protect and maintain mitochondria, which provide most of the energy that allows cells to perform their normal functions. Mitochondrial dysfunction appears to play a role in both cancer and the aging process. In recent years, Dr. Haynes and colleagues have focused attention on a protective protein called ATFS-1. When cells are under stress, ATFS-1 accumulates in the nucleus of the cell and turns on an array of genes that help restore mitochondria function. But the researchers noticed that ATFS-1 also turns on genes that are associated with fighting bacteria — part of the body’s innate immune response. “It led us to the hypothesis that maybe this stress-response pathway is coupled with innate immunity, allowing the detection of bacteria that disturb mitochondria so a response can be launched to destroy the pathogens,” he says. To test this theory, Dr. Haynes and coauthors at MSK and Harvard exposed groups of nematode worms to Pseudomonas aeruginosa, a bacteria common to humans and known to cause mitochondrial dysfunction. Worms that lacked the ATFS-1 gene function died much sooner than normal worms after Pseudomonas aeruginosa infiltrated cells in their intestine. By contrast, when researchers boosted the expression of the ATFS-1 gene, the worms survived longer. Significantly, the infected cells killed much of the Pseudomonas aeruginosa by secreting higher levels of antimicrobial peptides and enzymes that degrade bacterial membranes and walls. “It really does suggest that the response is antimicrobial and can kill the pathogens,” Dr. Haynes says. The finding was recently reported online in Nature. It is far from clear whether this process will hold true in people, although experiments with human cells in culture suggested that mitochondrial stress increased the activity of genes for antimicrobial peptides. Dr. Haynes says the finding, if confirmed with further studies, offers a potential new strategy for fighting bacterial infections. is there some way to tie this work in with the English firm that's working on using the human body's own t-cells to fight an amazing array of cancers through similar cell reactions ?